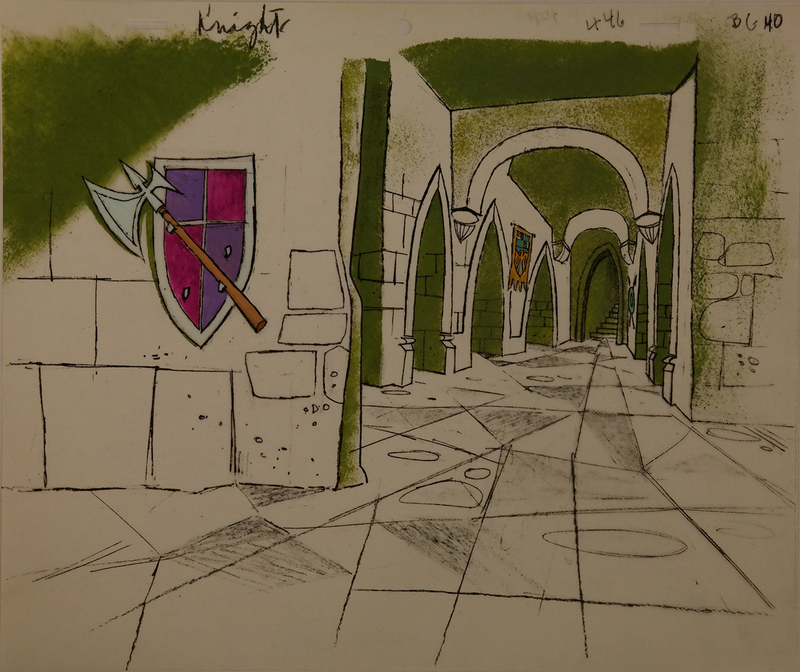 This is an original hand-painted cel background that was used in the production of an episode of The Pink Panther Show. The untrimmed animation cel measures 10.5" x 12.5" and the imagery encompasses the majority of the cel's area. Many of the white areas of the background are actually unpainted areas on the cel, and during production the color would have been determined by a color backing behind the cel layer.